Make a sandwich of the fabrics and quilt batting. Place the back fabric right side down. Then place the piece of interfacing on top of that. Next, place the top fabric right side up. Pin together. Sew on …... 11/07/2011 · Last summer I made a rag quilt for Abigial, and I just finished one for Zachary. They are so easy to make. Each step progresses quickly into the next. I finished this one, from fabric selection to on the bed, in about a week and a half, just working on it an hour here and an hour there. Step Two: Cut a boat load of squares of quilt batting. Mine were 6 inches square. My quilt has 10 rows of 13 squares, so I needed 130 squares of batting and 260 squares of fabric. 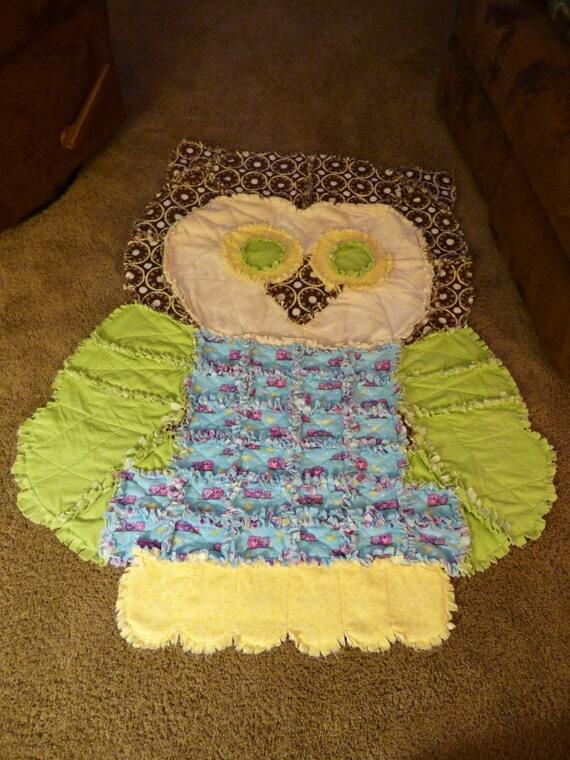 11/07/2011 · Last summer I made a rag quilt for Abigial, and I just finished one for Zachary. They are so easy to make. Each step progresses quickly into the next. I finished this one, from fabric selection to on the bed, in about a week and a half, just working on it an hour here and an hour there.